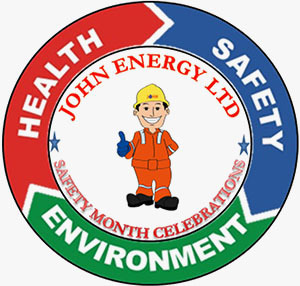 HSE Awareness Campaigns » QHSE Policies » John Energy Ltd.
We celebrate safety month from 4th to 30th March every year, in commemoration of National Safety foundation day. to create safety awareness among our crew and supervisors all levels. The month long campaign, is planned to involve all the four working crew at our Temporary Rig site locations and permanent locations through various programmes like safety quiz, slogan, poster competitions, exhibitions, Training sessions etc. This is done to arouse awareness of the crew members to the best safety practices through involvement and participation. 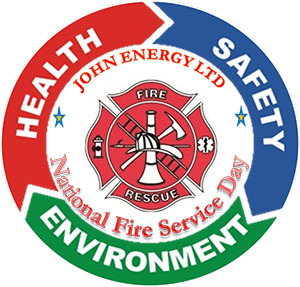 In commemoration of the Bombay Dock fire, and to create awareness of the crew regarding the fire prevention and protection methods, Fire Safety and Emergency Awareness week campaign is organized in all the permanent locations and temporary project sites of John Energy Ltdin the month of April. Special training sessions organized and mock drill performance evaluated to enhance the emergency preparedness at our locations during the fire service day. 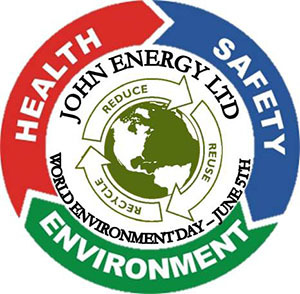 As part of World Environment Day (WED) 5th June, we organize a Environmental Awareness week, to create awareness among the crew for UNEP theme and also the issues of prevention and protection methods required to be followed at each of our location to ensure our work area are operated in compliance with the environment requirements. This includes Tree plantation competitions and housekeeping campaigns, training sessions etc. this our effort to bring about positive environmental action, in our daily routine activities. Worldwide an estimated 1.2 million people are killed in Road Accidents in average each ear. We are operating a fleet of more than 100 LMV & HMV vehicles regularly, in our projects and rig moves required for our operations. To create awareness among our chauffeurs and drivers at various locations, we observe a week long ROAD SAFETY & PERSONNEL HEALTH campaign in the month of November. 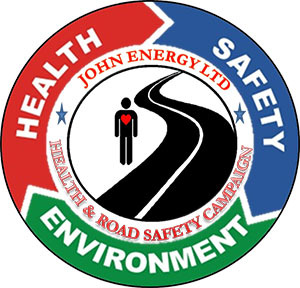 As a part of campaign in all permanent locations and temporary project sites, we organize competitions, awareness trainings, and health checkup programmes to create awareness and improve our road safety performances.